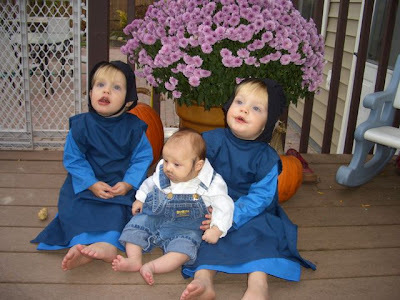 Here is Sidney and Henry (yes, they are boys dressed as Amish girls) and Amelia (yes, she is dressed as an Amish boy). Does anyone else think of "Children of the Corn" when they see this or is it just me? Cute, yet creepy at the same time. Or, as Sidney & Henry would say themselves, "Spooky!" 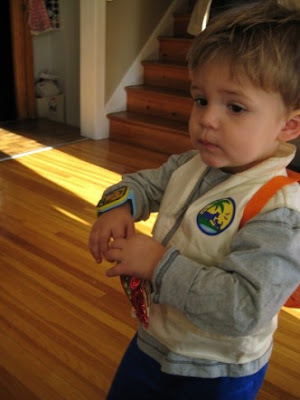 Here is my Godson, Drew, I mean Diego. 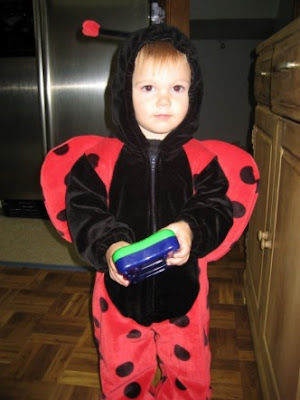 Melynda, looking like a super cute ladybug! 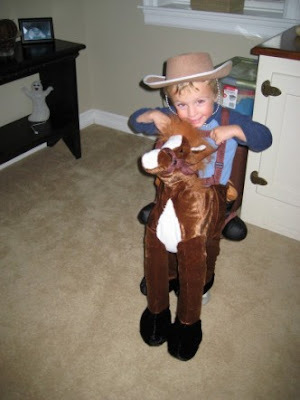 And don't forget about Cowboy Tucker! 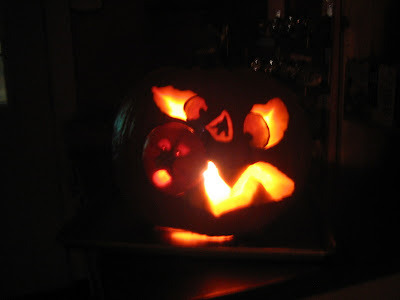 And we ended up just staying home giving out candy to the 300+ trick-or-treaters we had. It was so much fun to see everyone dressed up. 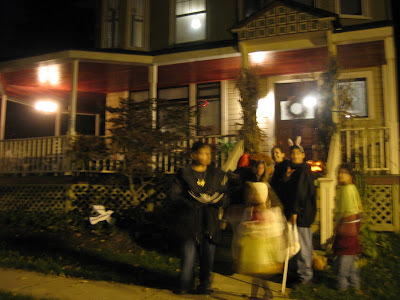 Here's a shot Marc took of me passing out candy, but most of the time there was a continuous line of kids going down the block. We had scary music playing and a flying bat hanging on our porch and I think we need a fog machine for next year. 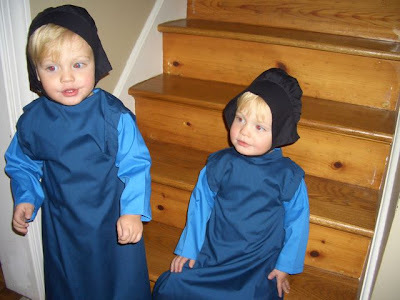 ha ha...the little amish boy. that is too funny! Please use the poem...it's not a "Jenna Original" hehehe! 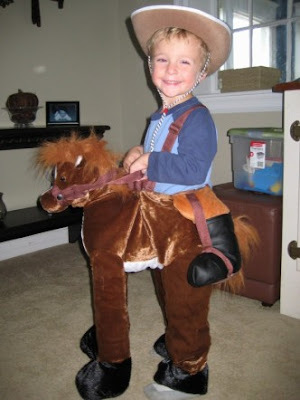 So I was just looking back and I LOVE the Halloween costumes, especially the "adult" costumes form the past few years! GREAT!